IKS Locksmiths offer a professional 24 hour mobile local locksmith service throughout Central and North London, South Hertfordshire and surrounding areas. When it comes to protecting your home or business premises, IKS Locksmiths are the specialists you can trust. Our local locksmith services also cover Archway, Highbury, Highgate, Kentish Town, Mill Hill and the City of Westminster. Call us free on 07947 426 981. We offer a professional 24 hour mobile locksmith service to residential as well as commercial customers. Our team of local locksmiths can respond immediately to emergency call-outs anywhere in the areas we cover 24 hours a day, 7 days a week, 365 days a year with no call out charge ensuring your complete peace of mind no matter what awkward situation you find yourself in. Whether you’ve lost your keys, arrived home to an unexpected burglary or locked yourself out, there is no need to panic because we’re only a quick phone call away. Our 24 hour emergency locksmith London service is second to none. IKS only charge for work done. You will not be charged for a quotation. 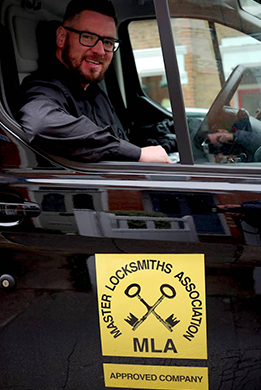 Our locksmiths are fully qualified and IKS are an approved member of the Master Locksmith Association. We will send a specialist to assess your property as soon as we receive your call. Since we are Master Locksmith Association approved we must be fully CRB checked. All locksmiths at IKS are all fully accredited, CRB Checked Locksmiths. Our team of expert locksmiths in London will help you with a full range of locksmith services. We are local locksmith specialists and deal with everything from a lock repair job to a 24 hour emergency situation, to the installation of an advanced master key system, safes and security grilles. IKS use only the leading brands at all times. We value all our customers which is why your security is our priority which is why we offer a free security survey to help you identify any areas that need to be addressed. A survey will enable our expert local locksmiths in your area to advise you on the best security solutions for your individual premises. Call us free on 07947 426 981 today to arrange for one of our team of local locksmiths to come to meet you at your property for a free security survey for your home or work premises. We will also be happy to discuss any of our locksmith services you require. IKS have built our business on a foundation of efficiency, reliability and trust. We are the people you can call in a time of need. We also pride ourselves on our competitive fees and we hold ourselves to the highest standardof locksmith knowledge and service.